Happy Wine Wednesday! 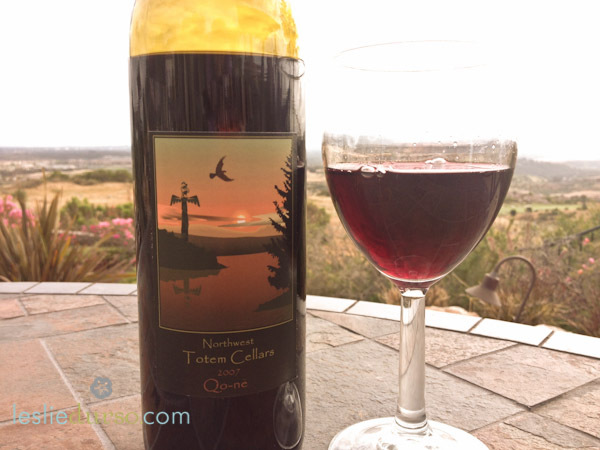 It’s been awhile since I’ve posted a new wine, but I’m happy to introduce you to Northwest Totem Cellars! They are located up in Washington state and make fabulous vegan wine! This is the “Qo-ne” which is a Cab Franc blend. It was delicious! Fruity and smooth this wine is perfect for a Summer afternoon! I paired it with my Tomato Quinoa Risotto and it was just fabulous! I also have the Cabernet Franc that I can’t wait to open, I’ll post notes here with what I thought, but if this first bottle is any indication I’m going to love it! And if you happen to be in the Washington area check out their events page, it looks like Mike Sharadin (the owner/operator/wine maker) knows how to have fun! They through all sorts of events at the winery!